Pu'er Tea rose up in the Eastern Han Dynasty, turned into comity in the Tang Dynasty, began to be popular in the Sing Dynasty, as finalized in the Ming Dynasty and was prospered in Qing Dynasty with a history of thousand of years. Pu'er Tea tea was originally named by its central trading area, in 1729 Qing government had first established an administrative zone named Pu'er Tea zone in Yunnan. 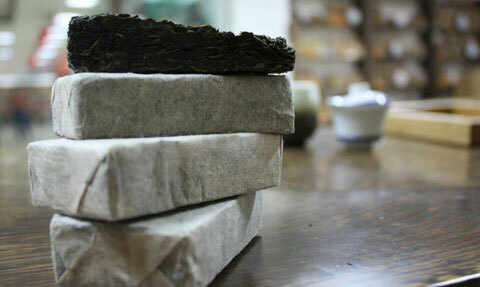 From the 1970’s, Pu'er Tea become hot in Hong Kong, Macao, Taiwan, Japan, Korea and so on. Pu'er Tea is hot because its habitat of high elevation and fogy growing environment, in is pollution-free in nature, is mellow in taste and long in the aftertaste; Moreover, the unique manufacture, transportation, packaging of Pu'er Tea made it become a unique second fermenting tea, thus has formed it’s the unique crusted fragrance and the health care function. 1. Zhao Minxue of Qing dynasty written in “Benzao Gangmu Shiyi”: Pu'er Tea tastes bitter, reduce the fat and the poisonous lf cattle…cleans the intestines to help releases. 2. Doctor Amilcarobi of the Paris Saint Antony medicine department found that above 40% of 40 cases of illness drank the Yunnan Pu'er Tea in the test, have lose their weight by various degrees, 10 of 13 cases were rather well in reducing the lipoid, and33.4% to 50% has various effects in reducing the three acids glyceride, the cholesterol, the blood uric acid and so on. 4. Professor Sun Luxi of Taiwan University had studied and found that Pu'er Tea can suppressed the cholesterol by 41% in the liver, increases to removeby 66%. 5. Tea research institute of southwest agricultural college cooperates with the CPLA 301 Hospital in recent years to research on the treatment of the senile high cholesterol blood sickness in relating to the safety of Pu'er Tea , results indicated that Pu'er Tea has the obvious treatment to the senile high cholesterol blood sickness, according to the WHO’S recommendation on toxicology type, Pu'er Tea belongs to the safe non-toxic scope. Pu'er Tea can be divided in the antique tea (before 1938), the labeling tea (from 1938 to 1967), the Chitse cake tea (since 1967 up till now ) and so on, and then still can be divided into the brick tea, the cake tea, the ball tea and so on in deferent patterns, we can distinguish the quality of Pu'er Tea is high or not basing on the “Four secrets in buying Pu'er Tea” and the Six “not to” policies in selecting Pu'er Tea. 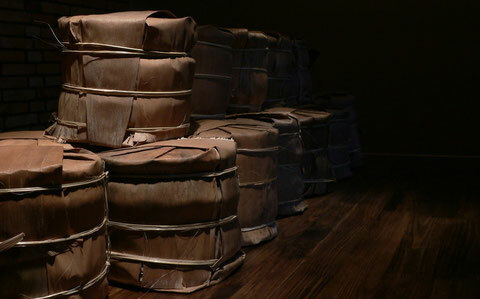 Four secrets in buying puer: Clear in smell, it must be clear, cannot have the mildew smell; Pure in color, it is dark brown like jujube instead of the black paint like; Right in storing, it is stored in the dry warehouse, cannot be deposited in the moist; soup, its soup tea temperature and mellow, instead of the mixed flavors .six “not” policies in selecting Pu'er Tea; 1, not to take the wrong manufacturing year as the range pole; 2, not to consider the forge packaging as the ture; 3, not to take the depth of soup color as the excuse; 4, not to get missed by added flavor of tea; 5, nit to summon the moisture and warehouse of tea; 6, not to consider by the age and variety of tea tree. 1. Ripe Pu'er Tea: The original nature, the original nature, the original taste of tea needs a rather long time to ferment into crusted fragrant Pu'er Tea. 2. 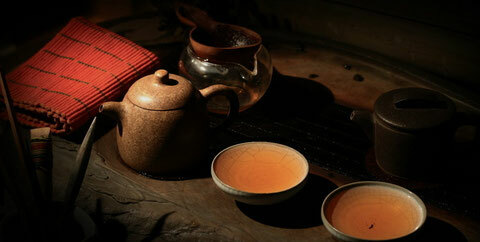 Mature tea: The original nature and taste of tea has naturally changed by the fermentation. 3. Moistens piling Pu'er Tea: The original tea has artificially changed by the quick fermentation, which is non-irritant in flavor but not so good as the mature Pu'er Tea. Tea is one kind of ancient and civilized beverage, China is the earliest country to discover and apply “tea” in the world, tea has now become one of the three major beverages in the world. Supposed to observe the soup color in drinking the high quality Pu'er Tea tea at first: The Pu'er Tea tea appears the different change in the water color because of the deference of fermenting degree and time, if it is the new and ripe Pu'er Tea, the tea soup is thick, and the flavor is greenish in taste; the old Pu'er Tea is insufficient in the aftertaste, but the bitter and astringent flavor has already desalinated because the fermenting time is not so long as the quest; if it is the real crusted Pu'er Tea, the color, the fragrance, the flavor are all the best in testing. 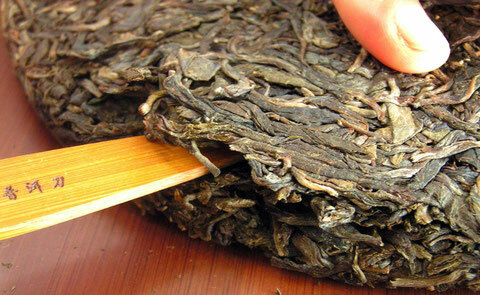 The high quality Pu'er Tea needs abort 5 grams in each steep; it can continuously steep for 15 times. The length of steeping time directly affects the flavor of tea soup. Before the steep, the pressed Pu'er Tea had better first to be unwrap for 1-2 week in advance to awake the nature of tea; as for the brick tea, cake tea, ball tea the unwrap can be shorter, otherwise the density of soup that these teas steep out will too heavy to taste. 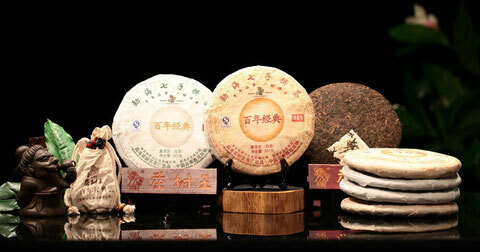 Lt certainly can rest on personally favorites to steep Pu'er Tea to suit your taste is ok. In Drinking the Pu'er Tea , besides to view soup color and to control the steeping time, to smell the fragrance is also very important, the fragrance of Pu'er Tea is deferent to the clear fragrance Taiwan high mountain tea, the fragrance of new Pu'er Tea is slightly similar to that of the Taiwan tea, only because the Pu'er Tea needs the affiliation by the air in the right amount of moisture content, which acts as the second fermentation, to achieve the crusted fragrance, therefore the fragrance Pu'er Tea is the aromatic compound which tea itself includes that affects by the length of storing time and the environment. This crusted fragrance is good or not can be identified by the smell inspiration during the steeping. Finally supposed to observe the bottom in drinks the high quality Pu'er Tea , namely to use the finger to pinches the tea bottom to identify the tea is delicate or not. Pu'er Tea is lf various methods in depositing, in fact it only needs to de stored in a clean and ventilating place then, “where person can live to be allowed to deposit Pu'er Tea”. Generally do not have the direct solar radiation, do not place in the refrigerator, do not put into the seal and vacuum tank.